Say hello to the Smart Community. We’re seeing the smart home market mature in front of our eyes. The convenience of being able to connect and interact with our living space is now the norm. While residents have the ability to install these systems into their homes, high-density residential communities can be more difficult to connect and control. That’s where we come in. Taking the smart home one step further, we propose the Smart Community, a place where residents not only have the connected convenience inside their own four walls, but extending that simplicity to the world around them, providing more convenient, safer, and secure living environments. A place where building managers and residents alike benefit from new technology. Our exclusive purpose is to revolutionize the concept, development and operations of next-generation Smart Communities, simplifying the way in which we connect, collaborate, and live together. Join us as we push towards creating better communities for all. The SmartONE Community Platform acts as an information hub that connects residents with their surroundings like never before in high-density residential. 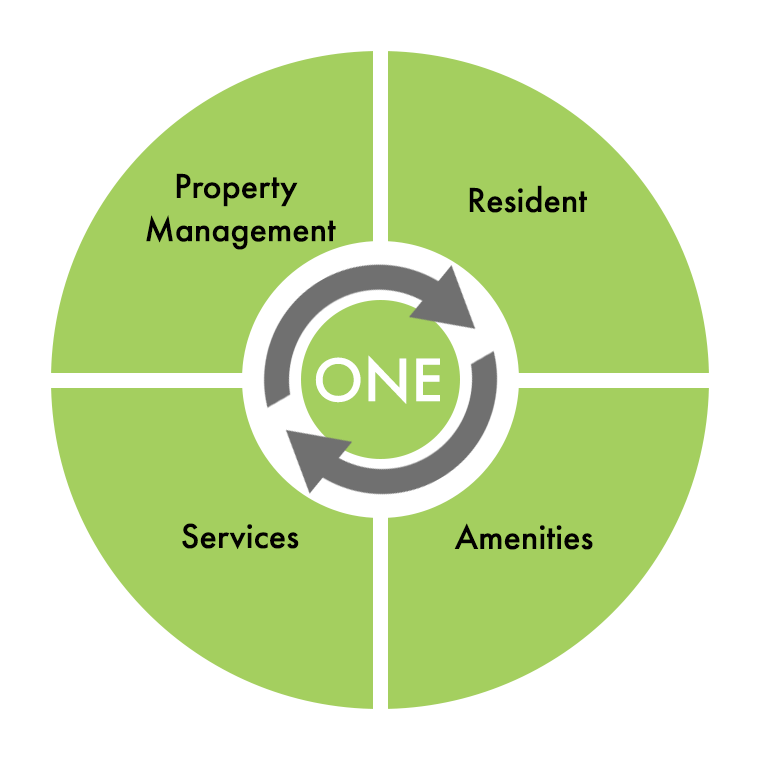 It is designed to integrate everyday services that residents want with the solutions that property managers and staff provide. Whether a resident needs to check real-time visitor parking information, inquire about the availability of event spaces, speak to maintenance staff, pick up their parcels, or check video logs to see who visited them while they were away, our solutions not only wow residents, but take the heavy lifting from the building management staff, allowing for a safer and more efficient workplace. Convenience is absolutely essential to residents. Residents in SmartOne powered units are provided with both a mobile phone app and an installed wall pad interface that provides a simple way to interact with their suite and building amenities. Features can include door locks, temperature controls, motion and security sensors, cameras, package notifications, and other services provided by the building. Integrating building amenities into the system enhances the convenience for residents. Through the easy to use interface, residents can book party and business rooms, barbecue terraces, loading elevators and receive custom notifications and integrations for any other amenity that is available. Seamless and fast access to visitor parking availability and booking, integrated parcel delivery notifications, and concierge services. Mobile and online applications allow for an overview and management of building services and have direct communication with the suite owner for building announcements, maintenance requests and other messages.